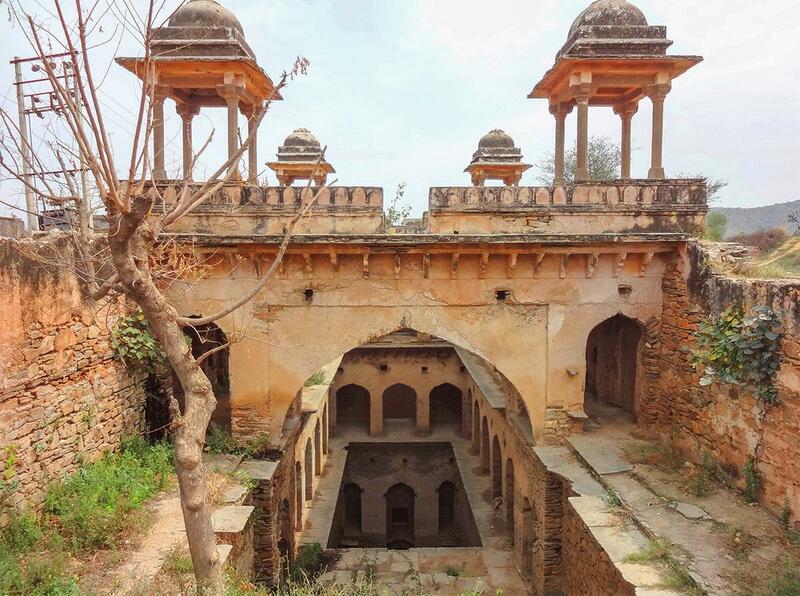 Across India an entire category of architecture is slowly crumbling into obscurity, and you’ve probably never even heard it. 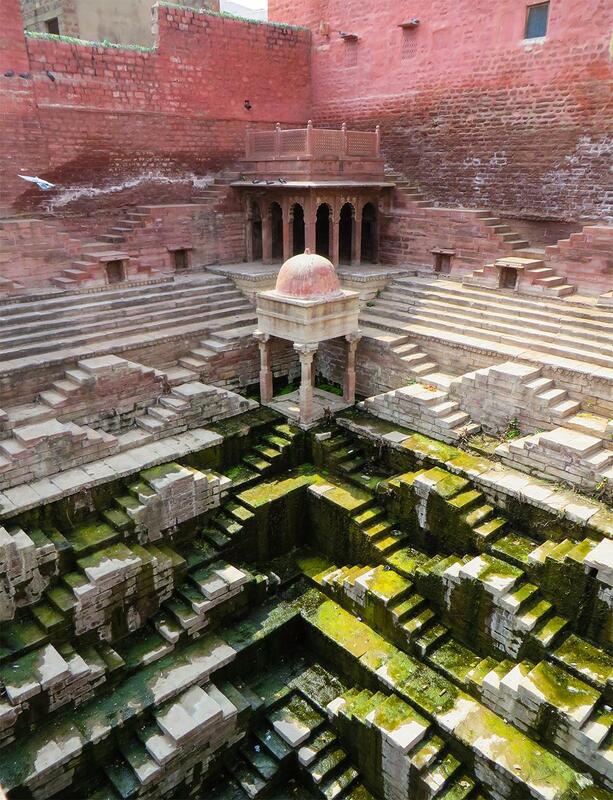 The massive subterranean temples were designed as a primary way to access the water table in regions where the climate vacillates between blisteringly dry during most months, with a few weeks of torrential monsoons in the spring. 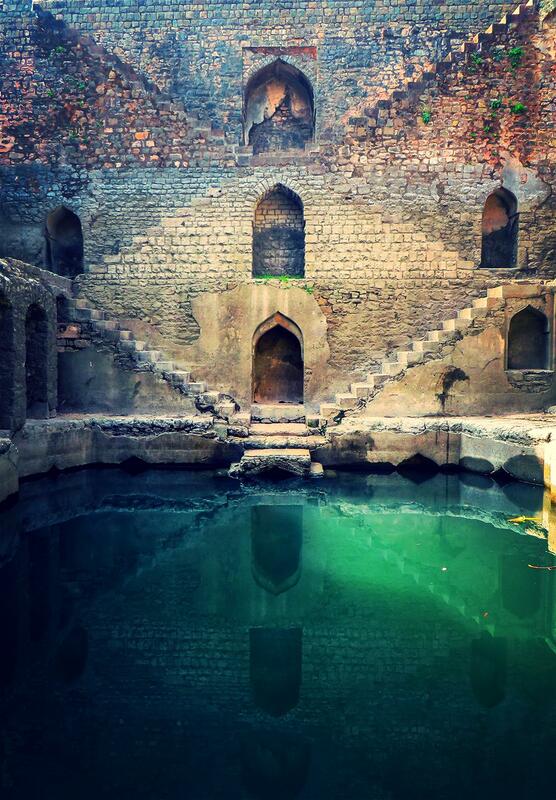 Construction of stepwells involved not just the sinking of a typical deep cylinder from which water could be hauled, but the careful placement of an adjacent, stone-lined “trench” that, once a long staircase and side ledges were embedded, allowed access to the ever-fluctuating water level which flowed through an opening in the well cylinder. 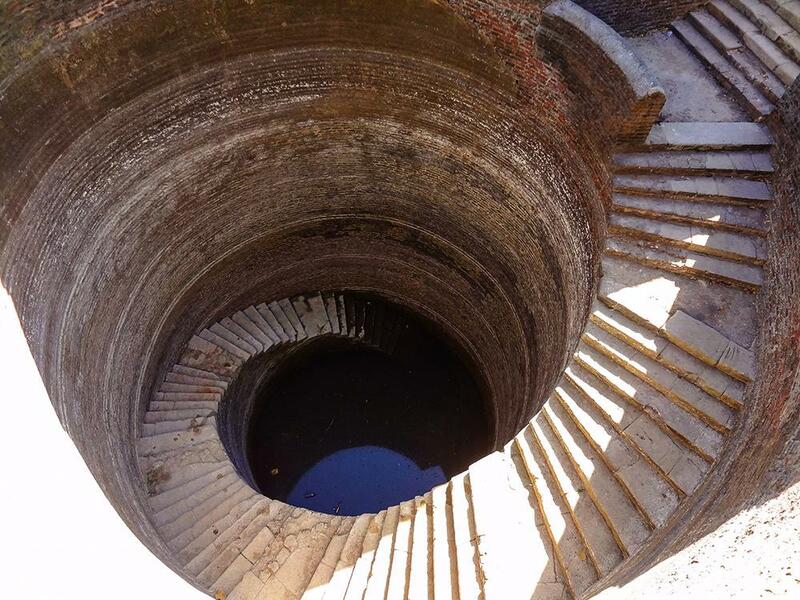 the steps sometimes to the surface. 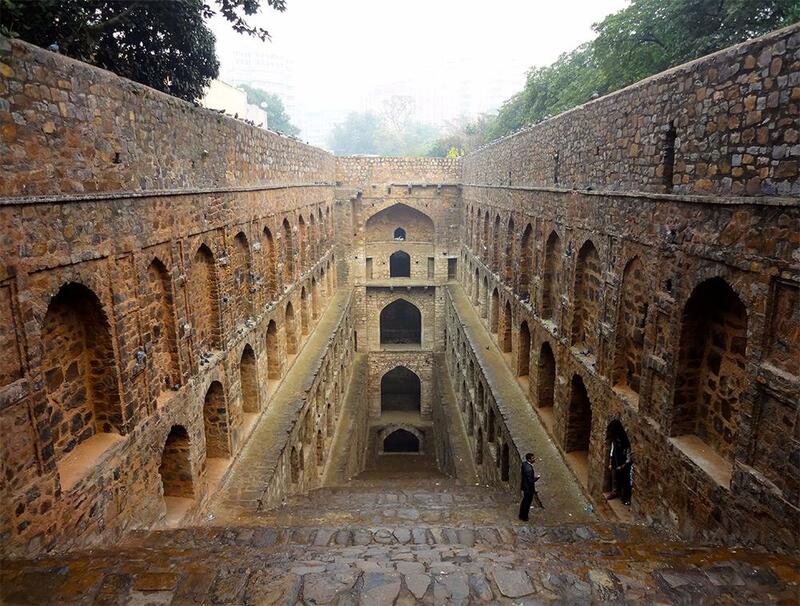 In dry seasons, every step—which could number over a hundred—had to be negotiated to reach the bottom story. 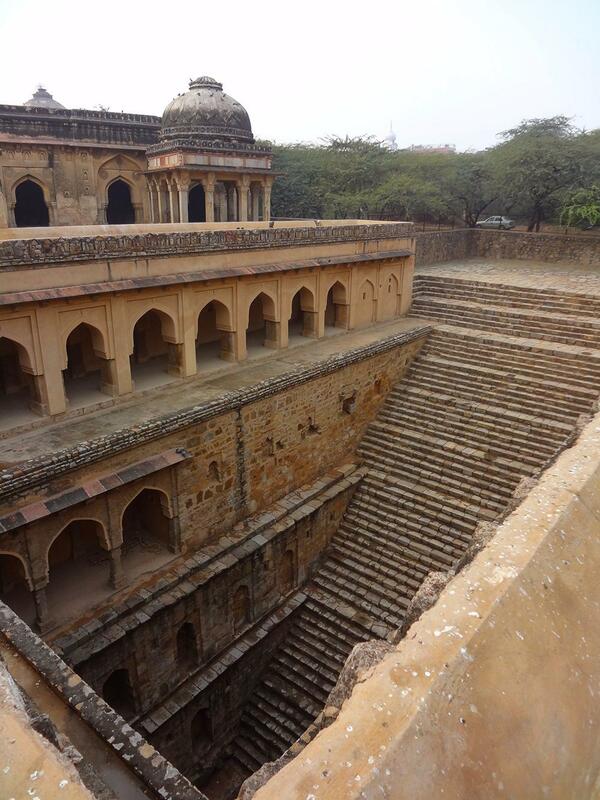 But during rainy seasons, a parallel function kicked in and the trench transformed into a large cistern, filling to capacity and submerging. 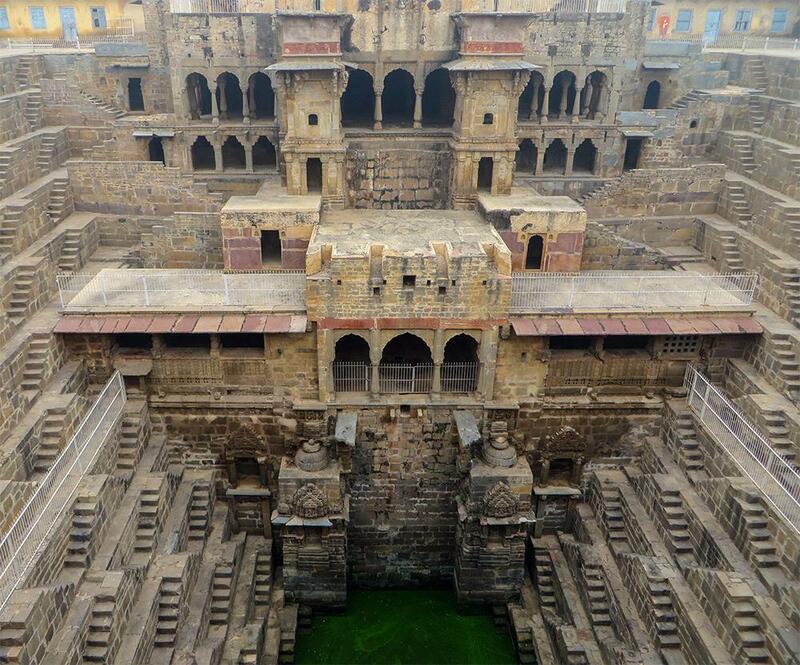 This ingenious system for water preservation continued for a millennium. 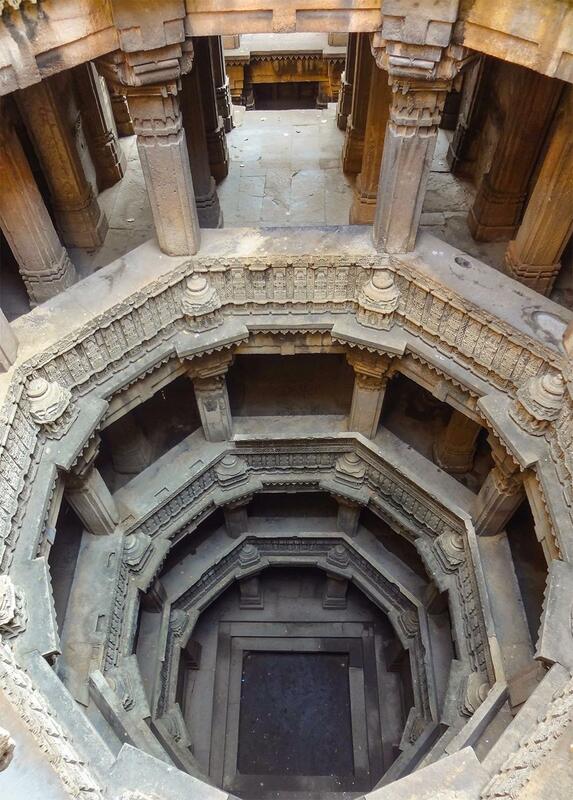 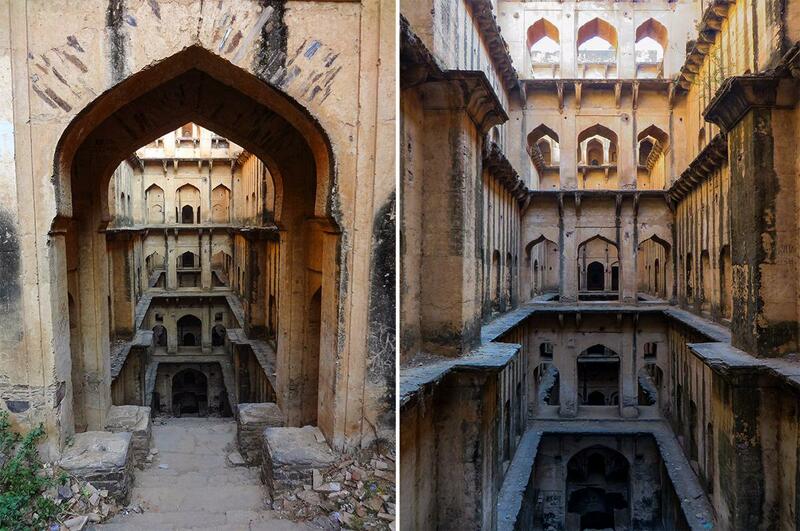 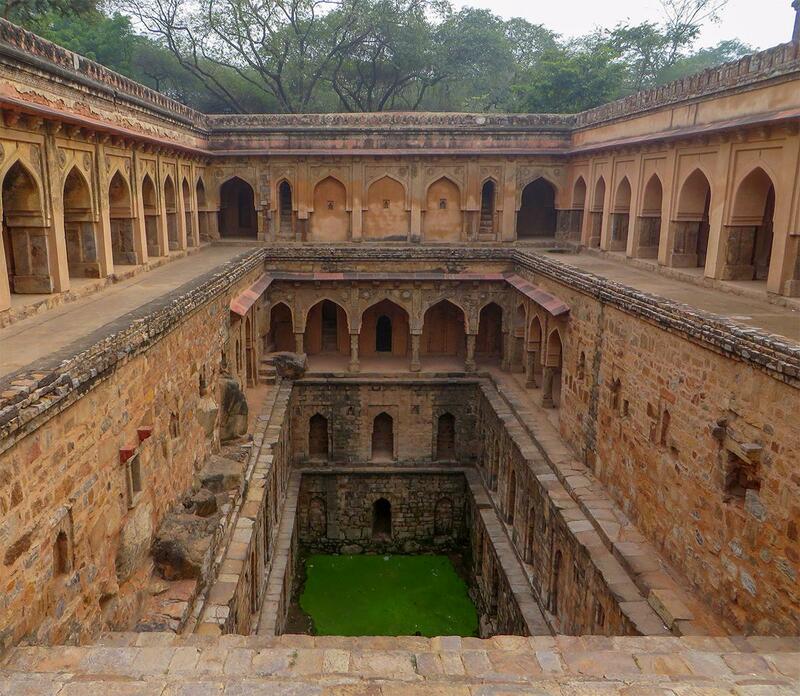 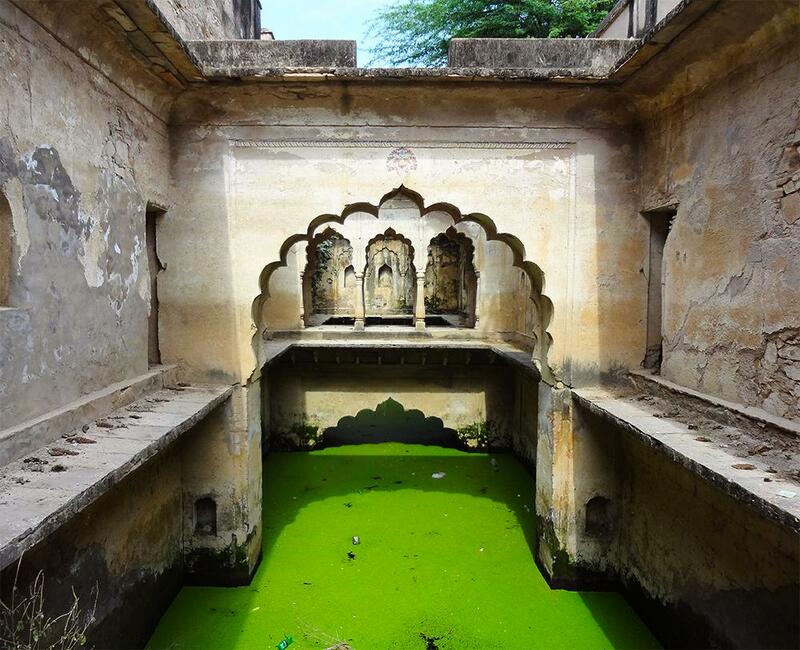 Thousands of stepwells were built in India starting around the 2nd and 4th centuries A.D.
but slowly evolved into much more elaborate feats of engineering and art.